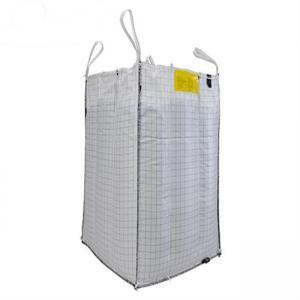 Duffle Filling Polypropylene Big Bags , 100% Virgin PP Bulk Container Bags for sale – Anti Static Bulk Bags manufacturer from china (109003541). Conductive bag is also called anti-static bag, which can be divided into conductive bag and low electrostatic bag. It conducts electricity through the grounding of the conducting wire woven into the fabric of the bag and the sling. Effectively remove the static electricity generated during loading and unloading, and prevent the occurrence of such dangerous situations as combustion and explosion. Regardless of the type of conductive bag, the ultimate goal is the same: to remove the charge from the bag due to friction. Q2: What does 5:1 SF mean? 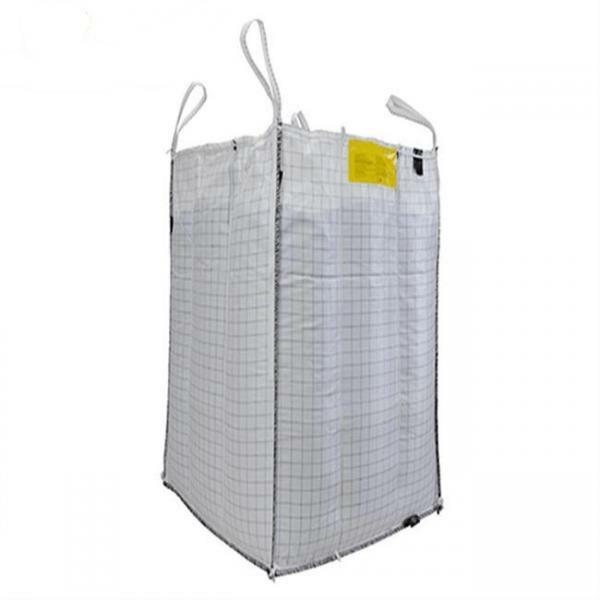 Standard bulk bag is rated at 5:1 Safety Ratio, which means that the bag is specified to hold 5 times the amount of the bags safe working load. A 5:1 Safety Ratio is for single use or single trip bags. Bags that are designed for multi-use or multi-trip bags, are made with an increased SF ratio. Q3: Do you accept customization? 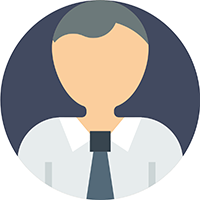 Q4: What information should I offer to you if I want to know the quotation?